Back in May, Japanese researchers at the Yamagata University deduced how the Nazca lines might have represented ceremonial routes of pilgrimage. The very same researchers have now discovered 24 new geoglyphs that were actually etched two centuries before the famed depictions of the monkey, spider and hummingbird. Unfortunately, the effects of time had taken their toll on these earlier works of massive art, with the researchers only able to decipher the ill-defined images by using advanced 3D scanning on an area a mile north of Nazca. 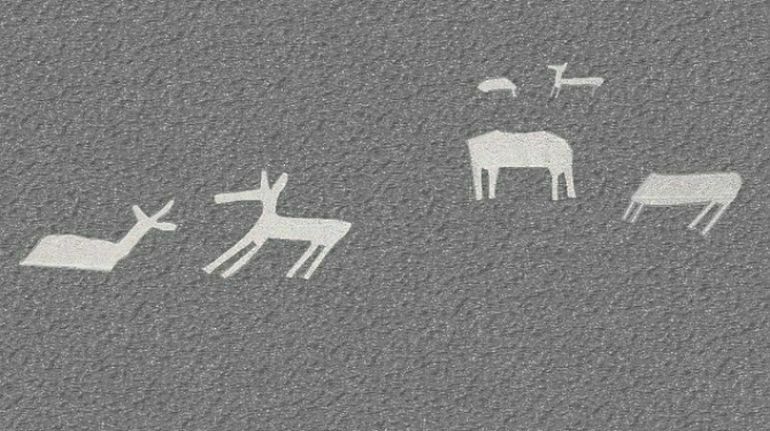 In any case, the fascinating geoglyphs were found to be of animals that were of native stock – like, camelid and llamas. And these massive depictions follow the similar patterns of 17 other animal forms that were discovered last year. In terms of size, the new images range from 16 ft to 66 ft. But more importantly, according to the archaeologists, these gargantuan specimens of art of the so-called ‘New World’ were conceived in an ancient time period that ranged from 400 BC to 200 BC. In fact, these antediluvian artworks can be perceived as giant precursors to the famous Nazca patterns we know today (probably made after 400 AD) – so much so that the artists used even different techniques to make these earlier mammoth etchings. To that end, this arid region of Peru that lies between the high Andes and the Pacific coast, is known for its darkened oxidized pebbles that cover the white ground underneath. So, when the surface pebbles were removed in accordance to the shape of the animal, the contrasting white hue of the lower ground filled the ‘volume’ of the resultant animal depiction. This volumetric definition does vary from the later Nazca drawings that were more focused on the outlines of the animals and birds. Now in terms of the importance of the discovery, there is no other site in the Nazca region that has 41 geoglyphs concentrated in a zone. However, the historians are still concerned by the infringing tendencies of the proximate urban developments that are spreading due to lack of knowledge about these ‘hidden’ Nazca lines.